The wait is almost over! 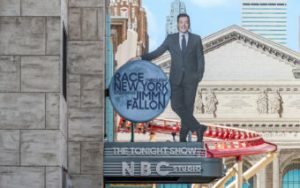 “Race Through New York Starring Jimmy Fallon” has begun its technical rehearsal at Universal Studios Florida. If you’re visiting the park sometime soon, you may have the opportunity to get a sneak peek of the attraction before it officially opens on April 6. It is Universal Studios Florida’s newest ride, a motion simulator that takes guests on an over-the-top adventure through the streets of New York, below New York Harbor, to the moon and back, following along with “The Tonight Show” host Jimmy Fallon’s wild antics. The entire experience begins outside the building, which is made to look like a smaller version of the famous “30 Rock” in New York City where Fallon hosts his show. Inside, guests find themselves face-to-face with a thoroughly NBC-branded experience, complete with NBC Pages as guides. Throughout the time spent inside, it’s easy to get lost in the details that make it feel like a reasonable facsimile of the real thing. The system works fairly smoothly, finding a nice balance between giving you time and freedom to explore without having you languish from boredom. This lends itself to a different feel from traditional winding queues in that you move from mob to mob rather than proceed in a single file line. All that being said, this attraction is not to be skipped altogether. The truth is that the queue itself is entertaining enough to make the experience worthwhile. There is a good energy in those halls that is undeniable, and it’s not like the attraction is horrible. It’s not. The attraction is fine, but the FUN is in the queue. Technical rehearsal is a time for us to offer a limited number of guests the opportunity to preview our newest attraction as we put the finishing touches in preparation for its official opening. 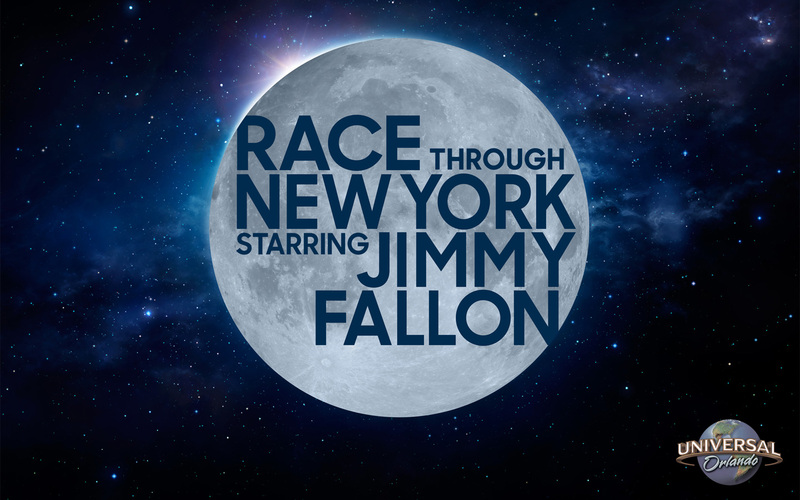 During technical rehearsal, “Race Through New York Starring Jimmy Fallon” will open on a limited, unscheduled basis. Also, some of its elements may not be operational as we continue to test and refine everything. 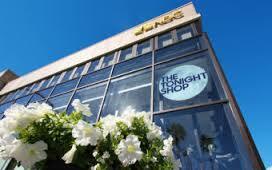 What are operating hours for “Race Through New York Starring Jimmy Fallon” during technical rehearsal? Operating hours will not be set in advance and will vary as the attraction opens on a limited, unscheduled basis.